T3 Gear's G2F is designed to turn the G2 Vest into a neutrally buoyant system. The G2F prevents the need to "cut away" heavy gear in emergency situations where the ability to stay afloat becomes paramount for survival. By maintaining control of your gear, you will remain effective to the team and maintain the ability to fight. 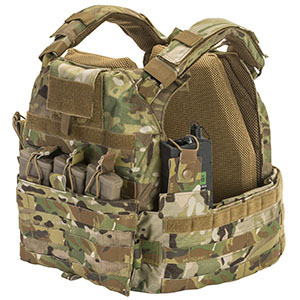 The removable close-cell foam option does not impede the functionality of the combat system. 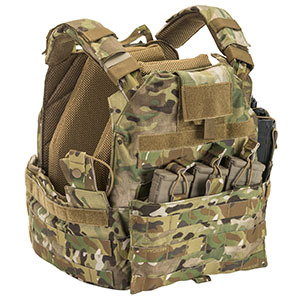 It allows you to be neutrally buoyant with a standard combat load out. Once on dry land, the floatation can be discarded as easily as it is put on by simply utilizing the integrated lightweight strip of Velcro®. It is important to note that this is NOT intended to be used as a positive flotation system because it is essential to maintain the ability to submerge under water if necessary to avoid boat motors, evade enemy attack, etc. If positive floatation is needed, it is recommended to utilize a secondary means that is triggered manually and/or by a depth-time sensor, to be used as a last resort in case of unconsciousness or last resort. 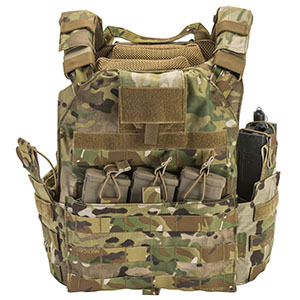 The G2 Plate Carrier is available in 5 colors including Black, Coyote, Multicam, Desert Digital and Olive Drab. It is also available in 4 sizes from Small through Extra Large.